Kristin Cashore grew up in the northeast Pennsylvania countryside as the second of four daughters. She received a bachelor's degree from Williams College and a master's from the Center for the Study of Children's Literature at Simmons College, and she has worked as a dog runner, a packer in a candy factory, an editorial assistant, a legal assistant, and a freelance writer. She has lived in many places (including Sydney, New York City, Boston, London, Austin, and Jacksonville, Florida), and she currently lives in the Boston area. 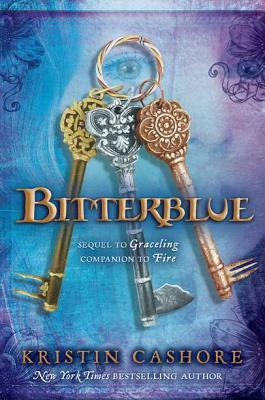 Her epic fantasy novels set in the Graceling Realm--Graceling, Fire, and Bitterblue--have won many awards and much high praise, including picks as ALA Best Books for Young Adults, School Library Journal Best Book of the Year, Booklist Editors Choice, and Publishers Weekly Best Book of the Year. In addition, Graceling was shortlisted for the William C. Morris Debut Award and Fire is an Amelia Elizabeth Walden Book Award Winner." "Some authors can tell a good story; some can write well. Cashore is one of the rare novelists who do both. Thrillingly imagined and beautifully executed, "Bitterblue" stands as a splendid contribution in long literary tradition." "A story that transcends the genre with its emotional and philosophical weight." "Devastating and heartbreaking...those willing to take the risk will--like Bitterblue--achieve something even more precious: a hopeful beginning." "Readers will gallop through [Bitterblue], eager to catch up on beloved characters and hopeful that the Seven Kingdoms can at last find peace. There are astonishing and sometimes heartbreaking discoveries...Buy all three volumes, in multiple copies." "Cashore's imagined world is brilliantly detailed and brimming with vibrant and dynamic characters." "Fans of...intricate political fantasies will relish this novel of palace intrigue."